Georgia Fullerton is a professional visual artist, arts-educator and Expressive Arts Therapist. She is a board director for OEATA (Ontario Expressive Arts Therapy Association) and The Robert McLaughlin Gallery in Oshawa, Ontario. Her dynamic art explores the relationship between the real and imagined, and reveals her emotions, memories of her girlhood and Jamaican roots. With an intuitive approach and an abstract expressionist style, Georgia’s work explores the phenomenon of relational energy through colour, form and texture – and is exhibited in public and private collections in Canada, United States, Australia and the Caribbean. 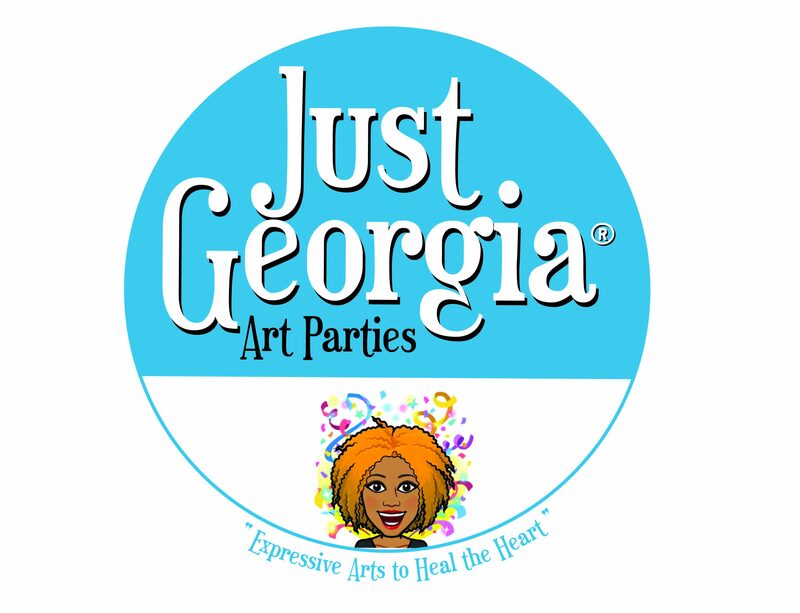 As the creator of an arts in health-based business named JustGeorgia®-Expressive Arts to Heal the Heart and founder of her online brand, FULL FINEART, Georgia designs and delivers creativity workshops, paint parties and community arts events. She continues to partner creatively with a wide range of clients such as The Royal Ontario Museum, Lakeridge Health, Birkdale Residence, Elementary Teachers of Toronto, Durham Black Educators Network, Durham District School Board and The Regional Municipality of Durham – Family Services. Georgia is currently pursuing her RP status with the College of Psychotherapists of Ontario and creates her original art at her home studio in Ajax, Ontario. “It has been our utmost pleasure to have had the privilege of working with Georgia at Birkdale Residence. Georgia has worked with our adults and Children’s Program to provide programs that enhance, encourage, promote and teach our clients the importance of self-worth, self-care and how to express themselves in a positive manner through self-reflection. Through art expression our clients are able to self-regulate and become more aware of the capabilities within and tap into skills that they did not know they possessed. Georgia is an amazing facilitator who is flexible, honest and works with pride and passion. Our clients love her programs and you can see the positive impact she leaves with the clients when the sessions are over. The activities/programs are a combination of hands on, group work, independent work and so much more. The clients are able to be open, seek clarification and be free to express themselves in a safe, comfortable environment created by Georgia. We do not view Art expression as a program but rather a life skill that everyone should have the opportunity to experience. Birkdale Residence simply LOVES Georgia.